Building on the work of our Patient Safety Collaborative in the West of England, the National Quality Board endorsed the adoption of the National Early Warning Score (NEWS) across NHS acute care in June 2017 and this has become a clinical priority for NHS England. 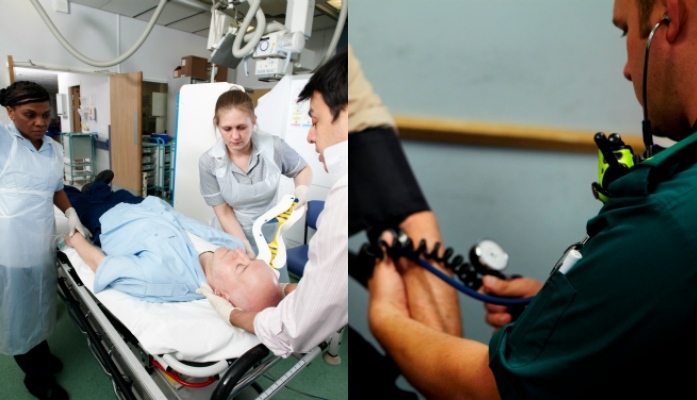 As part of NHS Improvement’s national Patient Safety Collaborative (PSC) programme, a workstream has been established to improve the recognition, response and conversations about patients who are deteriorating with an aim to support the local adoption of NEWS in all acute trusts. At a local level, the 15 PSCs hosted by the Academic Health Science Networks, are supporting this work. The first step in the improvement process is establishing a baseline, so that we can understand where an early warning score is already in use and if so, what kind. To this end, all acute trusts were recently asked by NHS England and NHS Improvement to complete the national NEWS survey. NHS England has collated NEWS and NEWS2 resources on its website at www.england.nhs.uk/nationalearlywarningscore and coverage in the Telegraph on this development can be read here. To learn more about our implementation of NEWS across all handovers of care in the West of England, visit www.weahsn.net/NEWS or come along to our next NEWS event in March 2018. The deteriorating patient: reach for the charts!